This year’s Super Bowl ended by the Patriots defeating the Rams, but people still won’t stop talking about the event, especially because of the so much anticipated commercials of the most famous companies and brands such as Budweiser. This company never fails to amaze us with their creative ads featuring the glorious Clydesdale horses and some extra cute puppies. 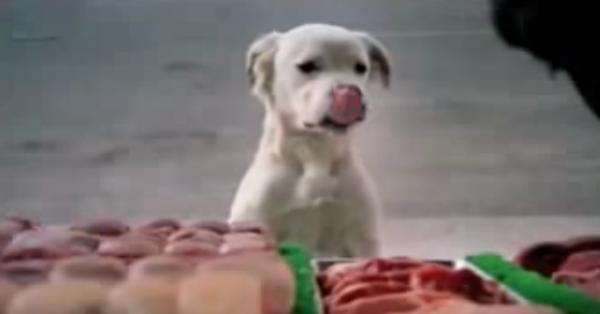 This one, however, is among the best and it depicts the life of a dog who only wants a juicy steak from the butcher’s. The stray dog is standing in front of the shop, dreaming of the meat he would probably never have. The butcher doesn’t want him there so he gets out of the store and starts chasing the poor dog with a broom. As he runs away, he spots something really spectacular. A parade with horses leading the way, carrying a carriage where a Dalmatian sits. People are cheering and applauding as the dog with the spots passes by the crowd. Then all of a sudden something miraculous happens. The stray gets all covered in muddy spots. 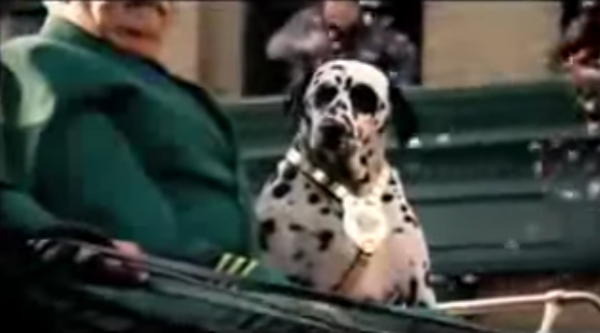 He quickly realizes how he resembles a Dalmatian and it might be his opportunity to shine. This is definitely a must see. You are going to love it.